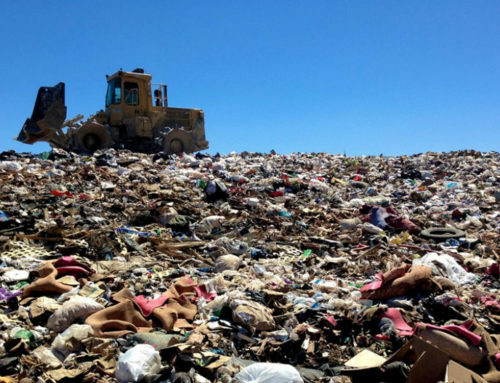 In an effort to do away with the need for a landfill or waste incinerator, the city of Cupertino has adopted a “zero waste” policy to be implemented immediately. The overall goal of the policy, comprised of 16 separate waste elimination priorities, is to dispose of 80 percent of the cities waste through alternative means such as composting, recycling or reuse by the year 2025. While officials are skeptical that the city could ever truly achieve zero waste, they feel that the increased effort could get them quite close to the goal (As it stands now, 65 percent of residential waste and 75 percent of commercial waste is diverted away from landfills in Cupertino). Beyond reducing the level of trash produced, officials are hoping that improved waste diversion efforts will help prevent pollution and help conserve resources. The Salesforce Tower, the latest and greatest addition to the San Francisco skyline, has revealed plans to include a membrane bioreactor in the basement that will have the ability to recycle the entire buildings wastewater. The bioreactor will be able to process water from all 61 floors of the building (as well as rainwater runoff) and treat it for reuse. When it becomes fully operational, it will be the biggest water recycling system for a commercial building in the entire US. Working as a dual filtration and treatment system, The bioreactor will also be able to take some of the pressure off of San Francisco’s sewage system by diverting water during storms. While Salesforce is only leasing 36 of the 61 floors in the building, they company has agreed to foot the entire bill for the bioreactor. In December, the city of Milpitas chose to sign a waste collection contract with Milpitas Sanitation Inc., moving away from long time partner Republic Services. Although the decision to end the 30-year relationship with Republic was made to save money and reduce contributions to the nearby Newby Island Landfill, residents are seeing little benefit so far. A recent City Council meeting saw several people lodge complaints on a litany of issues with the new trash service, namely the sizes of the new waste bins. Residents feel that the new divided bins, featuring a 67-gallon landfill section and 29-gallon compost section, are not a generous as the previous and feature a much smaller garbage allotment. Other complaints include extra trash bags being ignored or strewn across the street, garbage not being picked up at all, and issues regarding billing. Council members present to hear the complaints say they are actively working with Milpitas Sanitation in order to work though these concerns.